Kids with autism are more than 3.5 times more likely to suffer from gastrointestinal problems, such as constipation or chronic diarrhea, according to the Centers for Disease Control (CDC). 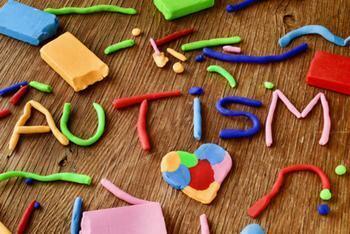 Children with autism might limit their diets to just a few foods, which can often lead to constipation and belly pain. Now, new research suggests that these gastrointestinal issues may occur in response to elevated stress hormone levels. After administering a short stress test, researchers from the University of Missouri School of Medicine found that the bodies of children with autism tend to release higher than average levels of cortisol in response to stress. "Our findings suggest there may be a subset of patients for which there may be other contributing factors. More research is needed, but anxiety and stress reactivity may be an important factor when treating these patients," said lead author Dr. David Beversdorf. Beversdorf, an associate professor at the University of Missouri-Columbia’s Thompson Center for Autism and Neurodevelopmental Disorders, says laxatives are often used to treat constipation and other lower gastrointestinal issues in patients with autism. But knowing more about the relationship between cortisol levels and gastrointestinal symptoms could help physicians determine a better course of action. In the new study, the parents of 120 young people with autism provided information about their children’s gastrointestinal symptoms. Overall, 51 children had these issues and 69 did not. A 30-second stress test was used to evaluate the children’s stress response. Researchers looked at saliva samples collected before and after the test to measure the children’s cortisol response. Findings revealed that children with gastrointestinal problems had higher cortisol levels in response to the stress test than those who didn’t have these symptoms. "We know that it is common for individuals with autism to have a more intense reaction to stress, and some of these patients seem to experience frequent constipation, abdominal pain or other gastrointestinal issues," Beversdorf said in a statement. "To better understand why, we looked for a relationship between gastrointestinal symptoms and the immune markers responsible for stress response," he explained. "We found a relationship between increased cortisol response to stress and these symptoms."